We developed this product by hearing comment from the farmer, “it is such a trouble getting insects in stocked rice”. Due to use of selected herb which insects hate, it is safer than general insecticides, and more effective. We are happy that the farmers are pleased to use this product. 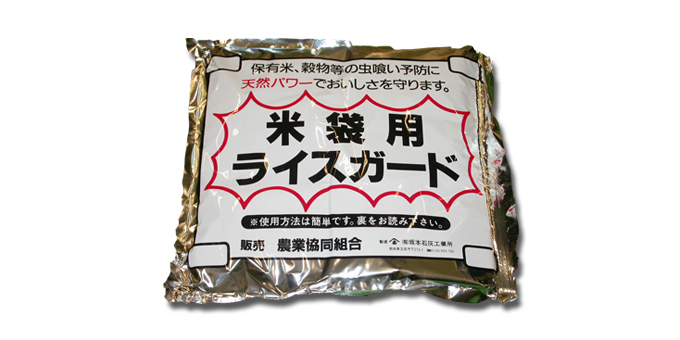 Rice guard is sold in Kyusyu, Sikoku, Kansai, Kanto areas in Japan through JA economic partnership.